Mega-terrorism – the hope of killing many thousands in a single blow – is alive and well. Yes, it keeps getting thwarted (see ADL's long list of thwarted attacks in Israel in mid-2002), but the civilized world must be prepared that one day it will succeed, with unpredictable implications for all concerned. Here are some examples, in reverse chronological order. Bahrain, September 2015: Bahrain's Foreign Minister Khalid bin Ahmed Al Khalifa announced that the Iranian government attempted to smuggle so many explosives into Bahrain that their explosion would have destroyed Manama, Bahrain's capital city. 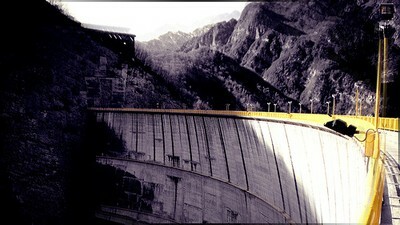 An Arab network planned to blow up the Tramonti dam in Friuli, Italy. Italy, March 2009: The Italian government expelled two Arabs, Mohamed Essadeck and Miri Sghaier, for endangering national security after the security services intercepted calls between the two and others in North Africa planning to blow up the Tramonti dam in Friuli. Had they carried through with the operation, the police estimate some 2,000 persons would have been killed from flooding in the villages of Meduno, Sequals, and Spilimbergo. Comment: Perhaps the most remarkable development is that Essadeck and Sghaier were merely expelled, and not locked up. Turkey, August 2005: A Syrian connected to Al-Qaeda, Lu'ai Sakra, was caught with 1,650 pounds of explosives and charged with planning to place them in speedboats which would slam into hit multiple Israeli cruise ships in international waters. "I have no regrets, I was going to attack Israeli ships, Allahu akbar," Sakra shouted to journalists, adding in a barely audible voice, "I had prepared a ton of explosives." speaking in Turkish with an Arabic accent. He later added, "I was planning an attack in open seas. Allahu akbar, Allahu akbar." Jordan, April 2004: "Attack could have killed 80,000" – that's the harrowing piece of information in a Jordan Times report by Mahmoud Al Abed. Suspects confessed in taped testimonies broadcast on television to planning a chemical attack in Amman, the Jordanian capital. 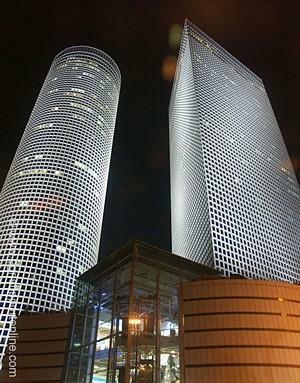 Their targets included the General Intelligence Department, the Prime Ministry and the US embassy. The program quoted experts saying that the operation could have killed 80,000 persons and caused physical harm to 160,000 others. The suspects, it bears noting, said they were inspired by their religious beliefs. "I agreed to participate in this operation," said one of them, "because I thought it would serve Islam." King Abdullah characterized the plot as "a major, major operation. It would have decapitated the government." (April 27, 2004) Nov. 27, 2005 update: The trial of the 13 suspects in this case (9 present, 4 in absentia) is again underway, after a long delay. Noteworthy are the words hurled by one defendant, Hassan al-Smeik, at the judge: "Terrorism is a badge of honor on our chests until Judgment Day. In the name of God, we're pursuing the path of Jihad until we uproot you, exterminate your state until the rule of [King Abdullah II] vanishes."